The channel has always had an educational role informing and instructing users around best practices and technology choices. Security has been one of those areas where it's been crucial to have an army of experts out on the doorstep telling customers, of all sizes, that they are likely to be a target of a cyber attack. Thanks to that education the message about being in the sights of criminals has got across but there is still plenty of handholding that users need when it comes to turning awareness into action. A study from SolarWinds MSP quizzed executives in the UK and US and asked them for their thoughts about the emerging security threats. Most respondents agreed with the statements that attacks were increasing but not too many understood how to prioritise against risks and what steps to take to increase the defences. The majority of firms admitted they had been attacked and lost data, suffered disruption and IT downtime. There was also a feeling of helplessness in the face of attacks with many accepting that they were simply not in a position to prevent ransomware like WannaCry. "The lack of knowledge among senior-level security executives is worrying-they know that attacks are on the increase, but many don't know what they are and seem unable to effectively prevent them," said Larry Ponemon, Founder, Ponemon Institute, which carried out the research. "Better use needs to be made of the resources available, such as US CERT alerts, and the service providers that most businesses are using to outsource protection. Those providers also need to step up and provide education on where most attacks are coming from and how they can be prevented," he added. The research should be a positive for those in the channel able to pitch in with the right combination of services and guidance. "There is a role for managed service providers (MSPs) to play based on this research, by supporting companies as they navigate the ever-evolving security threats businesses face," said Tim Brown, VP of security architecture, SolarWinds MSP. "We have no crystal ball to know what threats lie on the horizon. Businesses need help with everything from awareness to technology to specialized staff. 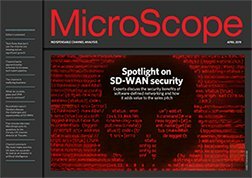 This study supports a view that MSPs have a unique opportunity to expand their security offerings to meet this need by filling gaps that can't be easily filled in house," he added.